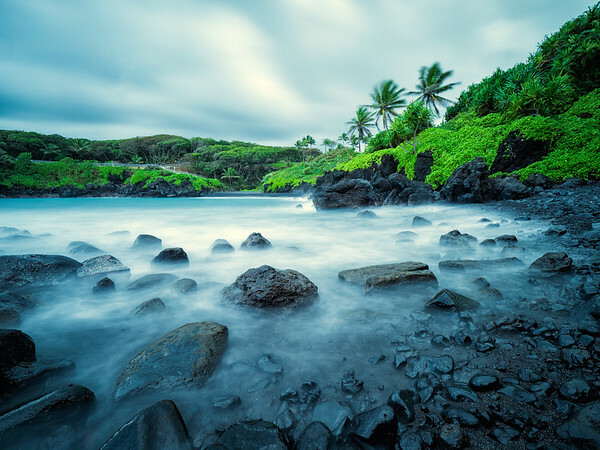 This photo is from Waianapanapa State Park in Maui, Hawaii, which is just outside of Hana. Waianapanapa which literally means glistening water in Hawaiian. The pitch black basalt rocks are beautiful as the waves crash against them. I took this photo just a short walk away from black sand beach which can be seen in the distance.